Supporting FreeSync™ technology, this monitor ends choppy gameplay, broken frames and delivers fluid artifact-free performance. Besides FreeSync™ the B2783QSU offers great color accuracy and consistent color reproduction, wide viewing angles and a sharp high resolution 2560x1440 panel. The monitor incorporates an ergonomic stand offering 130mm height adjustable stand with pivot and swivel, making this screen an excellent solution for environments where workspace flexibility, posture and ergonomics are key factors. 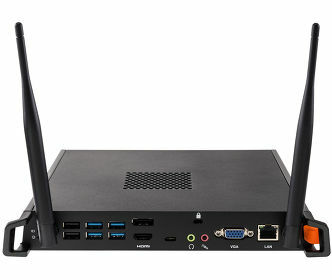 Triple input (DVI/HDMI/DisplayPort) and a USB HUB ensure compatibility with any Desktop PC or Notebook. Featuring a response time of 1ms, the B2783QSU ensures fast, fluid and accurate transition between frames and reduces ghosting or smearing. 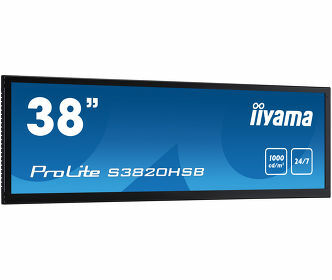 This high specification screen is an ideal partner for FPS (First Person Shooter) games. 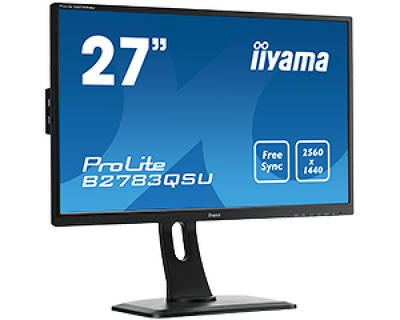 The ProLite B2783QSU-B1 will be launched across Europe by iiyama on 3 September.